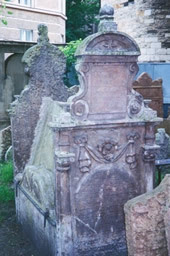 Photos of the grave of Rabbi Simon Spira (1600, 1679) at the Old Jewish Cemetery of Prague. 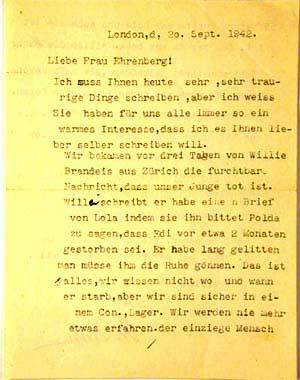 This letter was written by Mrs Portheim, an Austrian-Jewish refugee to a related German-Jewish refugee, Eva Ehrenberg. Today I have news of very, very sad matters, but I know that you always have a warm interest, so I need to let you know. Three days ago we got terrible news from Willie Brandeis in Zurich. He writes that our boy is dead. He got a letter from Lola in which she asks him to tell Polda that Edi died about 2 months ago. Edi suffered for a long time, we should be happy that he can rest now. This is all we know, we don't know where and when he died, but we are certain it was in a concentration camp. We will never find out more. The only person who knew anything was Lola and she is also dead. Willie got the news of her suicide a day later, she had taken an overdose of Valium. She was going to be deported to Poland as well. She was right to do what she did and she is at peace now. Our boy went through such a lot, we will never get over that. 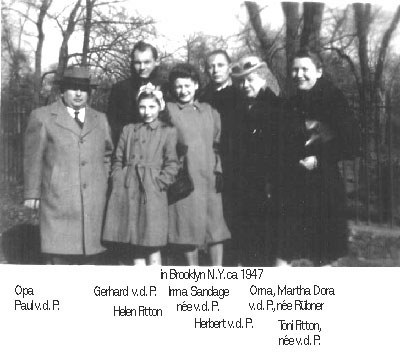 Emil and Fritz have been deported to Terezin, at the ages of 85 and 86. We were very pleased to see your husband so well. Thank you very much for your first letter with the address of the doctor. 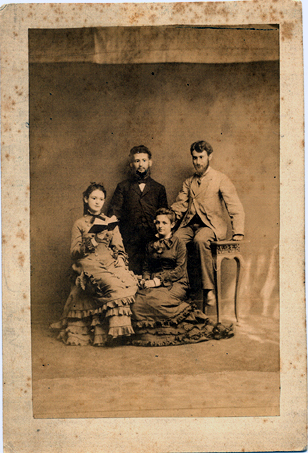 An old Prague Jewish family. Can be traced to 1573 ? ?, 1630. They were then called Porges Spiro. 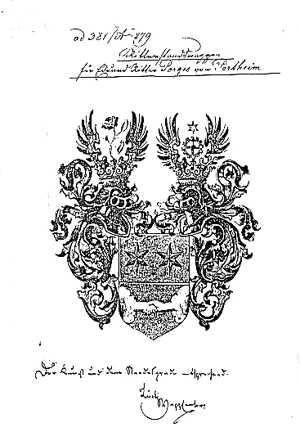 (Porges married into the family Spiro about 1699). Rabbi Spiro Porges : money changer mentioned in Prague 1754. Rabbi Lob Spiro took the name of Porges because of his ancestor, called himself Porges Spiro. 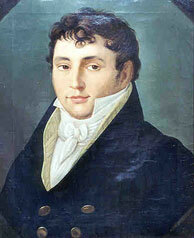 Grand father of Gabriel Porges Spiro 1738 -1824. Father of Moses and Leopold Jude. Moses Porges, factory owner. Member of the local council in Smichov and representative of the Jewish community council in Prague. Director ofthe Josefstadter Childrens Home for small children. Member of the Board of Directors of Cotton Printers. House and property owner, Town councillor of the Imperial Capital Town of Prague. Member of the Jewish Community Council. 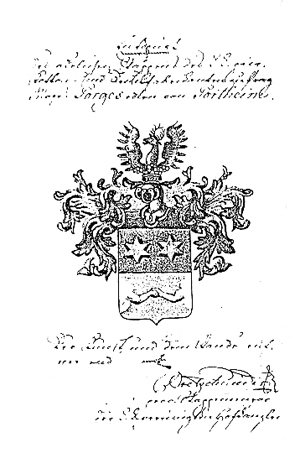 Both brothers received the Austrian title "Edler von Portheim" in 1847. 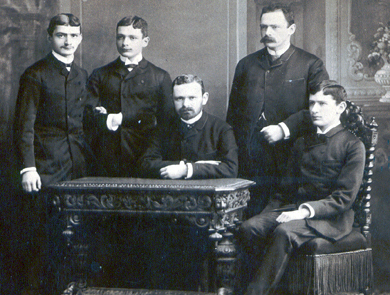 Vice President of the Prague Chamber of Commerce, was given the title Ritter von Portheim on the 5,July 1879. 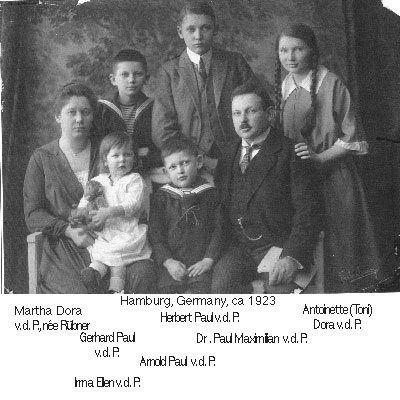 The 2 sons of the poor family Porges from Prague, Moses & Leopold Juda, went to Offenbach to join the Frankisten Movement, a Jewish Sect. They were disilusioned and returned to Prague. On the journey back they saw progressive manufacturing processesin Saxonia and introduced these ideas after their return to Prague. They started their works for printing cotton on the outskirts of the Jewish quarters by the Moldau. They then moved to the outskirts of Prague where they bought the grounds of a former hospital and church and cemetry. Eventually they moved to ... Smichov the new industrial quarter. There they introduced the first steam engine in Prague. Emperor Ferdinand visited their factory and admired the "Mechanics". He told the manufaturers Porges that they could express a wish. Before 1848 there was no equallity for Jews in Austria. There were all kind of restrictions. Even weddings had to have the consent of the authorities. Every one but bankers and manufacturers had to live in the ghetto. Because of this Porges asked for equality for the Jews. That was asking too much. Emperor Ferdinand promised to think it over and then sent instead a patent of nobility. 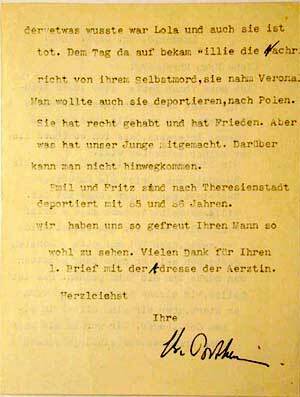 It exempted the family Porges Portheim of all restrictions and inconveniences. They lived in a very nice house, a small palais near the factory in the suburbs. It was in the present day Narodni, then one of the best streets in Prague. Even to day the initials EvP can be seen on the front of the house. The family played a big role to develop Prague into a textile town. The name of Portheim also turns up in Heidelberg . 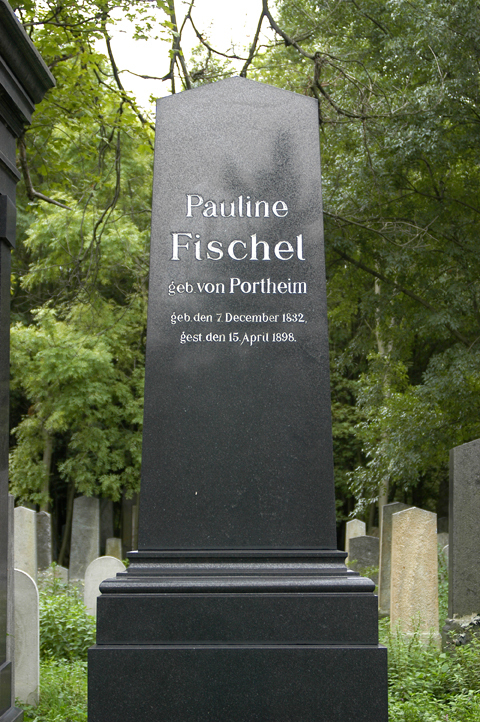 Leontine v. Portheim married Victor Goldschmidt, a well known scientist. 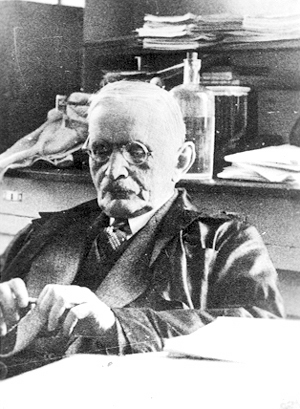 His interest started as a hobby in which he invested much effort and money and which led to the "Josefine and Eduard von Portheim Stiftung" for science and art. It was founded in 1919 and is situated in the former Palais Weimer Hauptstrasse 235, Heidelberg. It houses part of the ethnographic collection. A mineralogical collection was given to the University of Heidelberg. This museum was founded in 1919 and is nowadays located in the "Palais Weimar". The permanent exhibition documents the culture of the Asmat in New Guinea. Several rooms in the basement and on the ground floor present not only the life and times of the Asmat, but also the environment they were living in, cultural object such as masks, jewellery, household effects, musical instruments, arms and even a large boat, that fills almost one exhibition hall. Source : The Centre for German-Jewish Studies, University of Sussex UK. Special thanks to Samira Teuteberg. 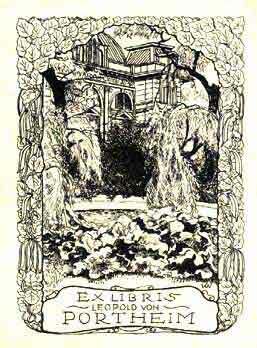 Ex-Libri, courtesy of Peter Rath, Vienna 2003, archivarius and editor of the "Mitteilungen der Österreichischen Exlibris Gesellschaft". 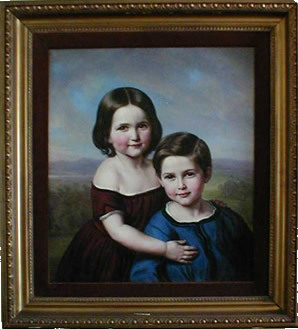 They are the younger siblings of Mathilde Jacob. Their mother was Emilie Edle von Portheim, who married Harry Jacob and who was the daughter of Leopold Juda Porges Edle von Portheim, owner of the Villa Portheimka. 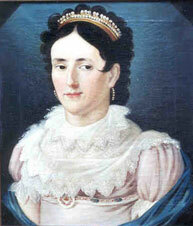 married Rosa Goldschmidt (b. 09/04/1821, d. 29/06/1904 Prag) on 23/01/1848. Two daughters. married Mathilde Philipp from Hamburg on 22/08/1855. married Emmy Dub (b. 1868) on 06/01/1891. married August Jordan (b. 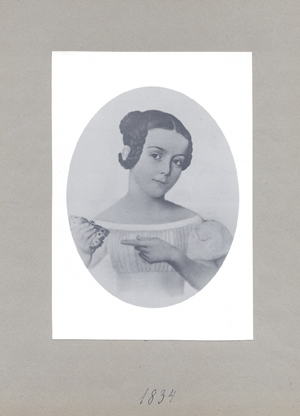 05/03/1842, d. 21/08/1891), in Paris later in Vienna, on 23/10/1879, and had one daughter. Gabriele Jordan translated Moses Porges works into German. 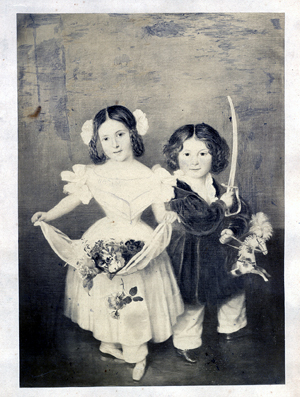 later in Frankfurt on 05/07/1846 ; they had 7 children. (b. 12/01/1826 Prag, d. 14/02/1907). married Rosalie Jerusalem. The present family tree was presented to him in 1906 for his 80th birthday. 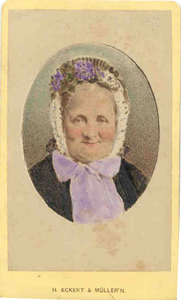 married Madeleine Nemezek (b. 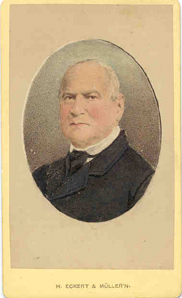 24/12/1850,) later Fülek von Wittinghausen. and Goldschmidt of Frankfurt s/M and von Portheim of Prague.